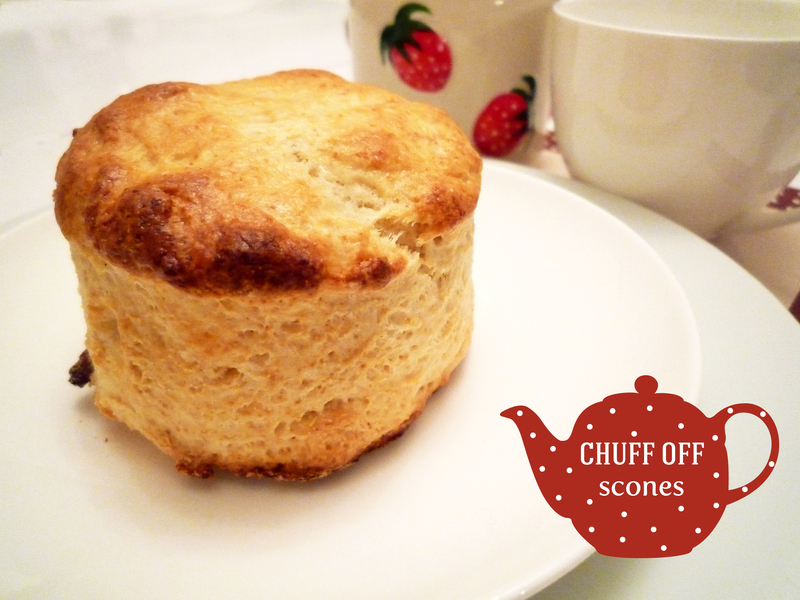 Scones are something I’m not really a fan of, I usually find them quite dry but my parents really like them along with some of my other family members especially my aunt and also people at work. I actually saw these scones being made on one of Kirstie Allsopp Handmade Britain episodes, the baker (Richard Hunt) who was making the scones has his own business in selling scones and makes an average of 2,000 scones everyday! Cor Blimey!!!!. This sold it for me, it was definitely worth try and they didn’t disappoint although I’m not a fan of scones these were not dry and had a nice milky taste. 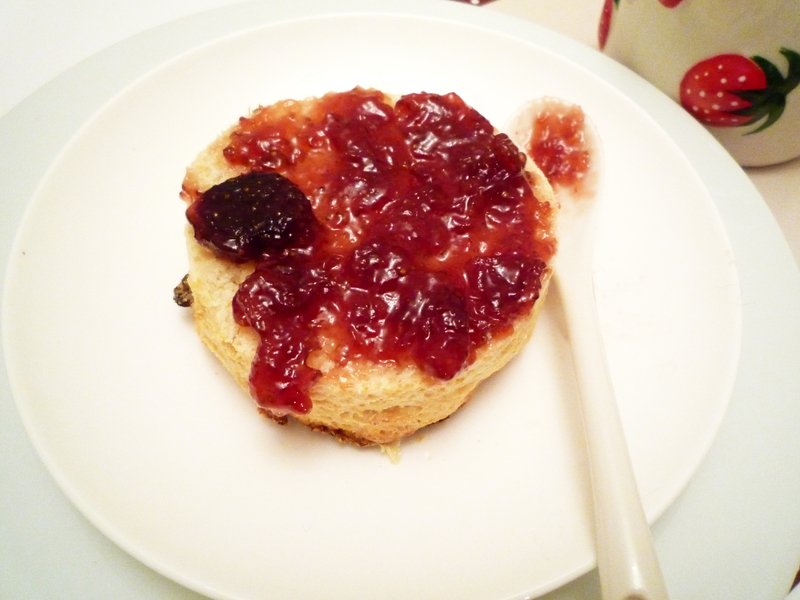 Right the great debate for jam and cream…is it jam first and then the cream (Cornish style) or cream and then the Jam (Devon style)??? For me it’s jam and then cream it’s easier to spread the jam on the scone and then add a dollop of cream. I’m sorry Devon even though this is a Devonshire recipe I’m all for the Cornish style. I added sultanas to my scones according to Mr Hunt you are not supposed to have them with cream and jam but we did oopppsy I don’t really understand why you can’t? They make them taste even more delish! These scones are best eaten in the afternoon with a nice cup of tea to enjoy the whole prim and proper quintessential English afternoon tea experience OOOoooo darling. 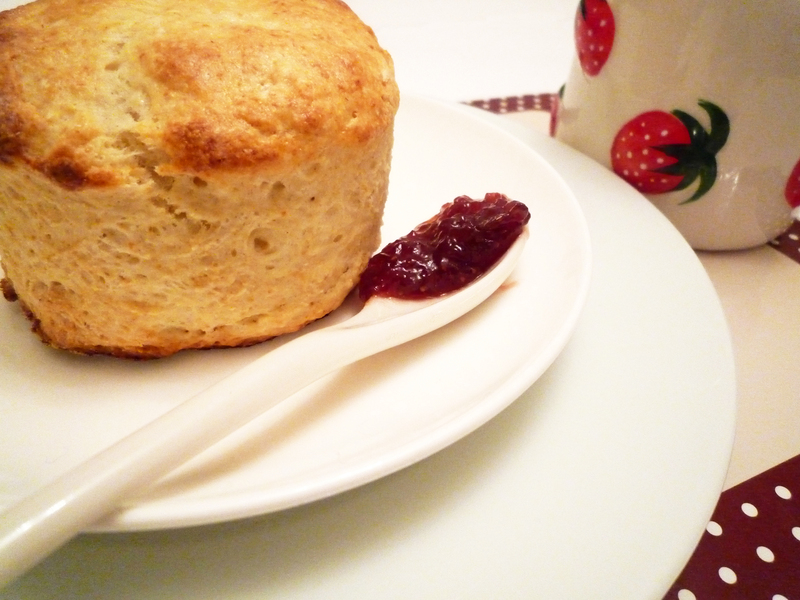 I have made these scones a few times and made these a while back for my parents anniversary and managed to have cream and jam but for this post I didn’t have any cream :( unfortunately. If you do have a chance get cream its worth it. I brought some thick clotted cream but you can buy double cream add some sugar and whip it till it’s thick and creamy. 1. Preheat the oven to 210°C/gas mark 7 (this was too high temp for my oven as I noticed in the first batch I made I turned it down to 190) and grease two baking trays. In a bowl put the flour, sugar, salt, butter, baking powder and milk powder and rub it together with your fingertips until it turns cream coloured and slightly crumbly. The odd fleck of butter is not a bad thing. Add the sultanas if using and mix through till combined. 2. Add the buttermilk then stir this into the flour. Bring together into a firm ball of dough, and knead lightly for 10-15 seconds – no more or the dough will be tough. 3. Flour the surface again and the top of the dough and roll to 4cm thick. Cut into rounds using an 8cm round cutter. A quick downward cut will give you the best rise in the oven. 4. Place on a parchment lined tray a few centimetres apart and brush the tops with the egg and milk mixture. Bake for 15-20 minutes until risen and lightly coloured. *Buttermilk is easy to make if you don’t have any just add a good few drops of lemon juice to milk and let it rest this is what I whenever buttermilk is needed in recipes.